*This was reported in Egyptian news website Al-Ray Al-Arabi citing its sources. The report says the troops entered Syria through Turkish territory. The alleged incursion happened with the consent of the chairman of the Libyan National Transitional Council (NTC) Mustafa Abdul Jalil. The NTC allegedly welcomed volunteers to join the surge. 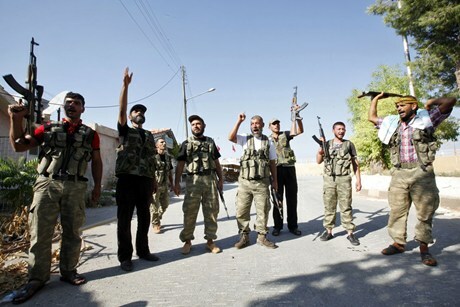 2 months ago British media reported a secret meeting between NTC envoys and Syrian rebels had been held in Istanbul. 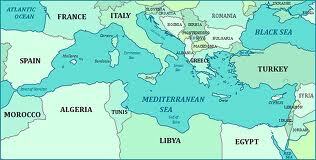 The Libyans pledged to supply arms, money and fighters to the Syrians. 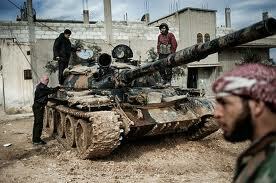 Bashar Assad’s government has repeatedly accused foreign forces of smuggling armed groups and weapons into Syria and thus fuelling the ongoing violence thus making any Annan ceasefire impossible to keep.In mid-October 2011 the Libyan NTC was the first government to recognise the rebel Syrian National Council as the legitimate though unelected and disunited representatives of the Syrian people. The Libyan population is in possession of many weapons, which they received during the civil war by plundering military depots, through smuggling and as aid from NATO and Qatar. There was originally clear evidence this was being repeated in Syria and now it is openly admitted by the Saudis and Qataris and other GCC members. The NTC has difficulties in disarming the ex- Libyan rebels, who want to keep their firearms, either for personal protection, for the constant fire fights that break out in and around Tripoli or as means to make their living by extortion and kidnapping and the occasional Rocket pot shot at the US Embassy or British Ambassadors vehicle convoy. In November 2011 and many times since, Benghazi , saw a mass protest by several groups of rebel Brigades, who demanded that the NTC pay their wages and medical treatment [in Turkey] . Some even threatened to overthrow the new government the way they did with the previous one, unless their demands are met. Funnelling armed, underemployed and eager-to-fight youngsters to another country like Syria is a convenient move for the NTC and now the “new”elected Libyan Government. The reality is these foreign fighters many coming from Afghanistan, Chechnya, Pakistan, and Al Qaeda are real mercenaries NATO Turkey has allowed then into their country as an alternative to a full-scale military campaign and invasion, which is impossible without the sanction of the United Nations Security Council. However to listen to Susan Rice in the US Ambassador to the UN there exists a real threat that the US wish to act bypassing the UN Security Council. That is a challenge to the entire world public, which may lead to the final breakdown of the post-war world PEACE as the entire region erupts. 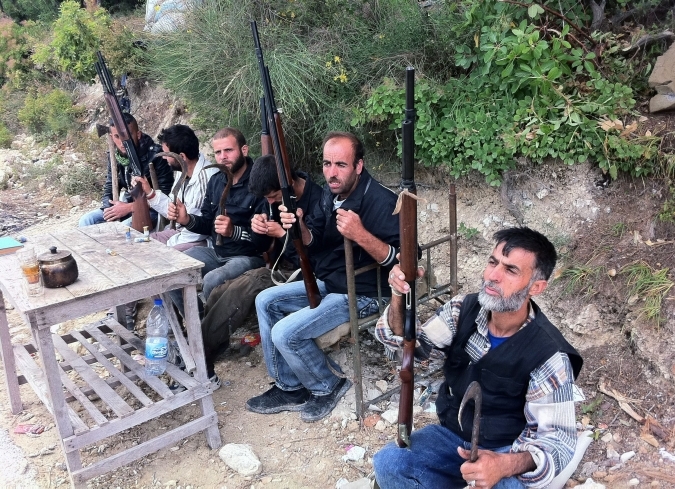 Riad, who claims to be the head of the “Syrian Free Army” or the “military wing of the Syrian people’s opposition to the [Syrian] regime,” told The Telegraph that he is operating an armed force of defectors in a camp in Eastern Turkey stated at the time of the Ananan ceasefire “We are armed with guns and ammunition stolen from the regime,” Riad said, adding that his team is conducting “high quality operations against [Syrian] government soldiers and security agents.” The FSA have already started this by attacking the Syrian border posts initially from the Turkish side of the Frontier. 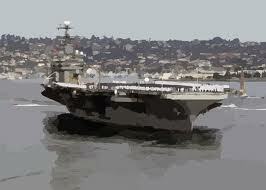 It is the sanction of this [military] activity that is being consistently opposed by Russia and China in the UN. To do anything otherwise would plunge the entire region in to war perhaps the *world with Israel and Turkey leading it odd bed fellows. *See below the “Gleiwitz” option? 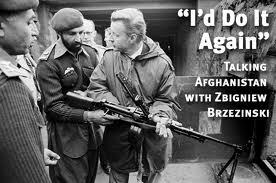 In a blog post here February 6 2011 I wrote about the history of US intervention in the region https://escalatoroverthehill.wordpress.com/2011/02/06/for-whom-the-bell-tolls-it-tolls-for-us-all/ and also the importance of encircling the Mediterranean with compliant Nations to US interests. 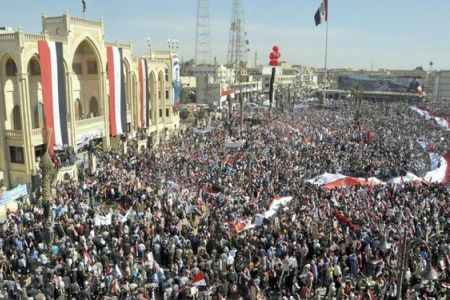 The resistance of the Syrian Arab Army to date far from disintegrating has surprised them as has the resistance of the greater civilian secular population of Syria including 2.5 mil Christians 500,000 Palestinian Arabs, 250,000 Armenians. Sunnis Shite and Alawite. (Note the picture below is not taken from a wide-angle and not of some small back street demonstration ). 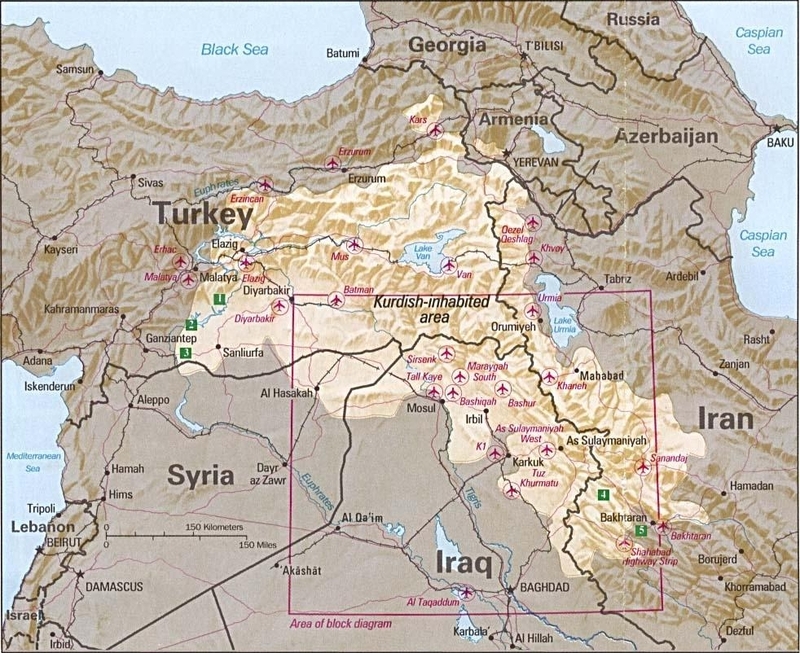 Option 2 is; Turkey continues its support in Kurdistan and to do its bidding there by the PYD a Turkish collaborationist Kurdish group who also support the FSA. 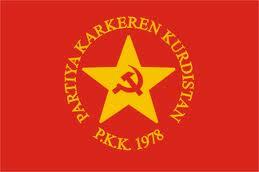 Also the PYD whatever they say are clearly at odds with the PKK who have stated they will not engage Syrian troops. The Turks intention was to foster armed conflict with the PKK (renamed in 2003 the Kurdistan Freedom and Democracy Congress KADEK which at that time proclaimed a commitment to non-violent activities in support of Kurdish rights. However this commitment to non-violent action did not achieve what was hoped for but to expose the Kurds (who incidentally make up over 20% of the Turkish population) to initial unprovoked attacks by the Turks. 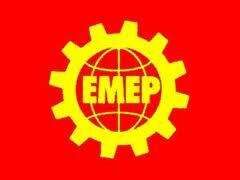 This policy by the Turkey does have a drawback and is proving a strategic error by the Turks. That is they were looking for the opportunity to invade Kurdistan exterminate the PKK and the on the basis of RAISING A “FALSE FLAG” then pursuing it into Syria and so engage the Syrians in conflict that way hopefully encouraging Sunni insurgency from Iraq. Unfortunately for them they have not yet been able to pull it off. There is the potential of a further severe 3rd internal split with the secular Republican People´s Party of Turkey, CHP that has been opposed to Turkey´s ambitions of empire from the onset of the covert war on Syria. The position they have taken is Turkey made the mistake of thinking Assad will go soon and Turkey should not have flown jets near Syria in the throes of a civil war. Turkish Prime Minister Erdogan has accused the CHP as being “nothing but the Baath Party of Syria” This was all part of Erdogan´s act along with his phony breaking of relations with Israel to recover from waning domestic support sufficiently so he would be in a position where he could fire secular Turkish generals who were opposed to military aggression against Syria. 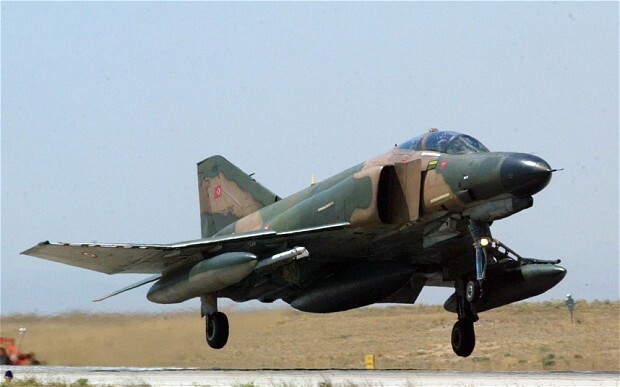 Syria has demonstrated to Turkey by downing the Phantom jet that ‘Look, we have the power, we can shoot down your aircraft. 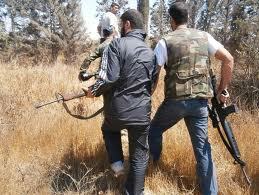 Here is a picture of a #FSA check point Note the possession of the curved scythes! Hardly the weapons of choice in a fire fight but certainly useful in slitting throats. Who is responsible for the violations of the Annan truce? “The truce was violated by the rebels and not Assad. 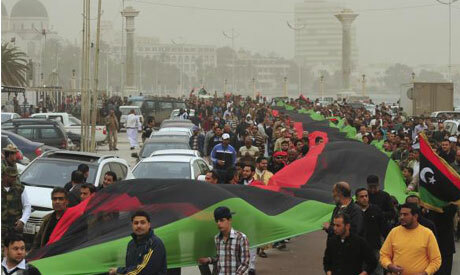 The regime has no interest in making the Annan plan fail. 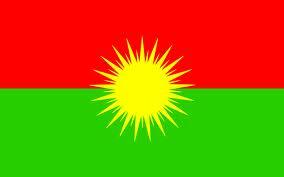 Out of 10 thousand deaths since the beginning of the uprising, there are thousands of casualties among the soldiers. The government must protect the entire country, not just the protesters who are always armed. 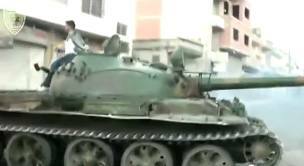 In the name of the other Syrian bishops as well, I can say that the Army has never attacked an unarmed demonstration. The government does not attack unless attacked. 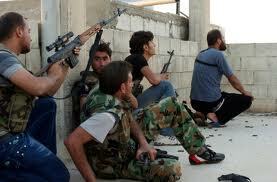 At Houla, 15 soldiers were killed before the massacre, which was not done by those faithful to Assad. According to reports by the Vatican’s Fides News Agency, the US-backed Syrian Army are sacking churches and issuing threats that all Christians will be cleansed from rebel-held territory. 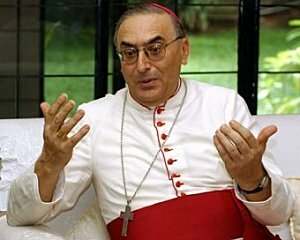 Catholic Patriarch: Christians used as human shields by the rebels Church organisations have reported from centres of conflict, such as the city of Homs where a high proportion of Christians lived, that up to 80% of Christians have fled as a result of an upsurge in religiously motivated violence against them by the #FSA. Orthodox priest Father Boutros Al Zein, said that about 400 Christian civilians, mostly elderly and women have been kidnapped and put in the streets of Al Bustan Diwan and Hamidiyyeh. He said the civilians were collected by a faction of the rebel army and directed towards the border of these two streets, becoming human shields to prevent the attack of regular Syrian forces. Two other Orthodox Christian priests, Father Maximos Al Jamal and Father Boutros Al Jamal, tried to negotiate to free the hostages, but the initiative failed. The “Chief of Staff” of the Turkey/NATO proxy Free Syrian Army informed Turkish Media the Turkish PKK has deployed it´s forces in Northern Syria to support the Syrian government and military. Turkey could still manufacture “cross border incidents” with PKK troops as a pretext for military action against Syria.However the FSA with Turkish and Qatari Special forces have an alternative to their Kurdish dilemma by providing the “Gleiwitz” option. Gleiwitz a small border town on the 1939 Polish German border was a staged attack by Nazi forces posing as Poles on 31 August 1939. 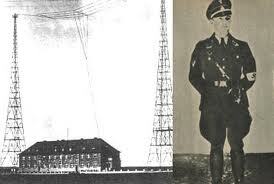 It included an attack on a radio station This provocation was the best-known of several actions in Operation Himmler, a series of operations undertaken by the SS in order to serve specific propaganda goals of Nazi Germany at the outbreak of the war. 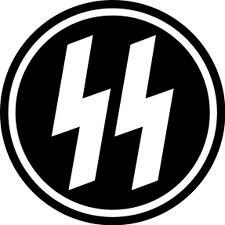 It was intended to create the appearance of Polish aggression against Germany in order to justify the subsequent invasion of Poland. On the night of 31 August 1939, a small group of German operatives dressed in Polish uniforms attacked the Gleiwitz station and broadcast a short anti-German message in Polish. The Germans’ goal was to make the attack and the broadcast look like the work of anti-German Polish saboteurs. To make the attack seem more convincing, the Germans brought a German Silesian called Honiok known for sympathizing with the Poles, who had been arrested the previous day by the Gestapo. Honiok was dressed to look like a saboteur; then killed by lethal injection, given gunshot wounds, and left dead at the scene, so that he appeared to have been killed while attacking the station. His corpse was subsequently presented as proof of the attack to the police and press. In addition to Honiok, several inmates from the Dachau concentration camp were used. The Germans referred to them by the code phrase “Konserve” (“canned goods”). 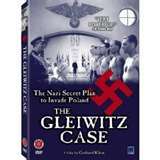 The Gleiwitz incident was a part of a larger operation, carried out by Abwehr and SS. 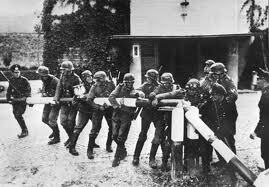 At the same time as the Gleiwitz attack, there were other incidents orchestrated by Germany along the Polish-German border, such as house torching in the Danzig Polish Corridor and constant propaganda output. The entire project, dubbed Operation Himmler and comprising 21 incidents, this was intended to give the appearance of Polish aggression against Germany. there were other incidents orchestrated by Germany along the Polish-German border, such as house torching in the Polish Corridor (to Danzig) The entire project, dubbed Operation Himmler and comprising 21 incidents was intended to give the appearance of Polish aggression against Germany. For months prior to the 1939 invasion German newspapers and politicians like Adolf Hitler accused Polish authorities of organising or tolerating violent ethnic cleansing of ethnic Germans living in Poland. 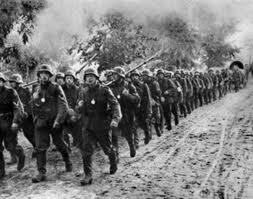 On the day following the Gleiwitz attack, 1 September 1939, Germany launched the Fall Weiss operation the invasion of Poland initiating World War II in Europe. 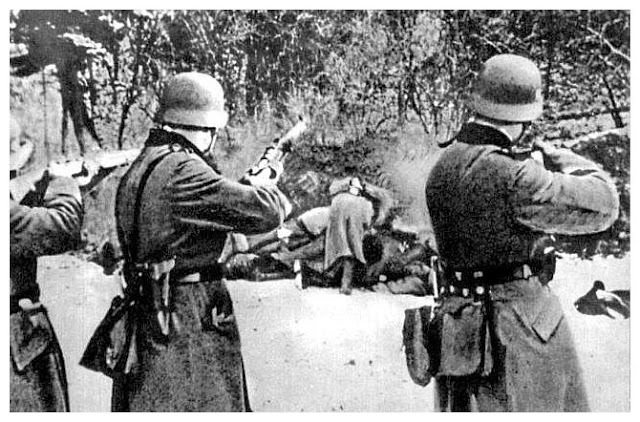 For months prior to the 1939 invasion, German newspapers and politicians like Adolf Hitler accused Polish authorities of organizing or tolerating violent ethnic cleansing of ethnic Germans living in Poland. Does all this sound familiar with Syria today? Now to be more contemporaneous we can change a few things with the following list and bring a lesson from history today with Syria. 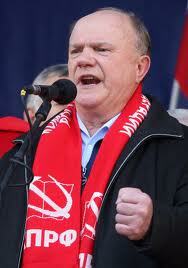 Incidentally in 1939 Poland was not a democracy but essentially a Fascist state. 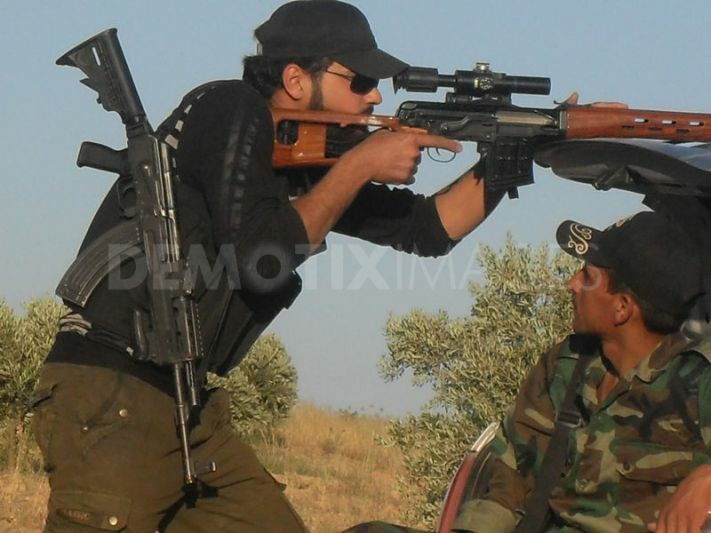 #FSA = Germans in Polish Uniforms Mortar fire on refugees in Turkey and Lebanon = #FSA posing as Syrian Arab Army Troops. 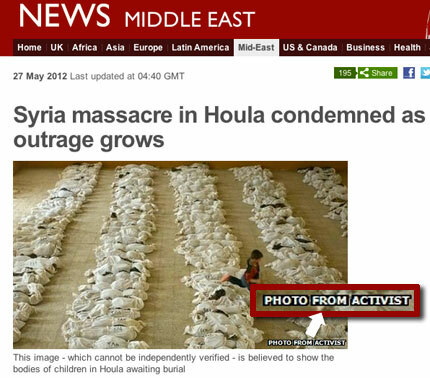 Staged = #FSA Video. Those who follow me on twitter will be well aware of the many falsifications I have exposed. 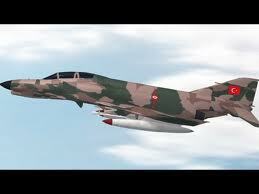 Boarder incidents = Downing of the Turkish F4 Phantom Fighter Jet and firing on rescue craft. Incidentally F4 Phantom a ground attack Fighter Bomber first entered service with the USN in 1965 aircraft that had proved vulnerable to North Vietnam’s SAMs Turkey received hers in 1974 and the last purchased after being retired by the Luftwaffe 1992. That makes this a very expendable aircraft for any “cross border” provocation. Some eyewitnesses in Turkey’s seaside area of Hatay province told private NTV television that the plane was flying so low they thought it would “hit the roofs.” They said the plane then flew toward the sea. By 1 July 4 days after the shooting down of the Turkish Jet she was in the Turkish Port Antalya just over the horizon from Cyprus and Syria while her escorts were interestingly somewhere else. 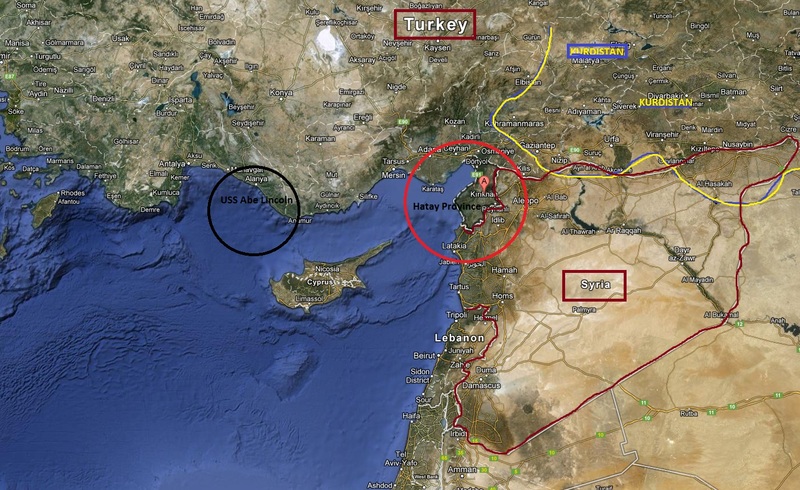 You would think the USN would have produced evidence from their Radar of the path of the Turkish Jet had it indeed been in international waters though this might conflict with evidence from Cyprus. Again going back in History this time just to 2002 this is Hilary Clinton just prior to the Invasion of Iraq. It could be almost the same speech she and Susan Rice are constantly making today now about Chemical Weapons in Syria. The key difference today is in 2002 it was Colin Powell also making the speeches to the UN not Rice. 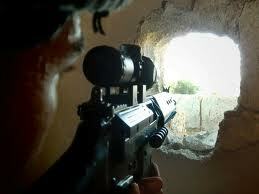 The Syrian Threat of Biological and Chemical Weapons..A Bluff? Moscow views the statement by Syrian Foreign Ministry spokesman Jihad Makdissi on the possible use of chemical weapons as provocative and practically improbable. I think it’s easy to work out what is going on in Syria.